LinkSys is the division of the Cisco Company which manufactures some of the most widely used network routers in the world. The WRT54G, WRT160N, and WRT310N series are the most popular with the WRT54G being the first model deployed that supported third-party firmware. The current generation of LinkSys routers support the draft 802.11N wireless standard that provides an increased throughput of 270Mbit/s when communicating with other 802.11n compatible devices. 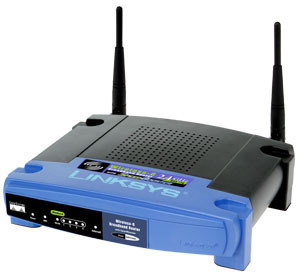 As the capabilities of home networking devices have increased, so has the ability of the computers and mobile devices that consumers use to remember the passwords or keys required to access networks setup by LinkSys routers. Unfortunately, if the password is removed from cache on your computer or phone it can then prove difficult to access the network. As a result, a common task that arises for home and business computer users is figuring out how to reset a LinkSys router password when this occurs. There are a large number of LinkSys routers on the market today. The LinkSys WRT54G is one of the best known models; however, it is quickly being replaced by one of the number of 802.11N compatible variants such as the LinkSys WRT610N, e4200, and WRT54Gl. Across all types the two biggest changes when resetting the LinkSys router password are slight differences in the LinkSys web setup menu, length of time required to press the manual reset button (10 vs. 30 seconds for older models), and slight differences in the default LinkSys password. The latest routers released by the company support multiple networks with a number of advanced multimedia features (some routers even have full-up multimedia servers embedded in the router!). 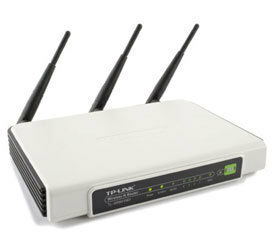 As a result of the increased complexity in home networking, many consumers prefer to conduct what the military refers to as a “Raytheon Reset” and restore the router to default factory settings or password(s) and just start over once configurations have become corrupted or just are not performing as well as when the LinkSys router was first purchased online or at the store. Linksys WRT54G – The LinkSys WRT54G is one of the most widely deployed wireless routers in the market. The device supports throughput rates of up to 54 Mb/second and has seen a number of firmware upgrades from Cysco since initial release. The router was the first one by LinkSys and on the market to support third party firmware (for advanced users). Linksys e2000 – A Wireless 802.11N router. The e2000 allows you to select 2.4 or 5 Ghz bands for your network and has Gigabit Ethernet ports (10/100/1000 MB/sec). Linksys e1000 – Similar to the e2000 except it only provides support on the 2.4 Ghz frequency band. Secure guest access and fast Ethernet ports (10/100 MB/Sec) are included with the router. Linksys WRt54gl – A wireless 802.11G router. Popular with the technology challenged with supporting a “push-button” setup and configuration. Includes access filtering and 128-bit security. Linksys e4200 – The e4200 LinkSys router also supports dual N band networks with a 450 MB/second throughput in the 5 GHz frequency band. There is a USB port for shared storage and the router has a built-in media server. The e4200 is backwards compatible with the 802.11b, b, and a standards. 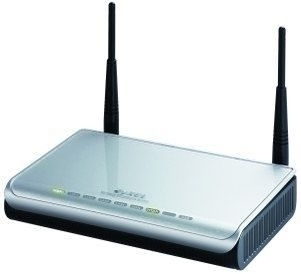 Linksys WRT610N – One of the first LinkSys dual-band wireless routers. Supports both 2.4 and 5 GHz networks at the same time and can act as a network-attached storage device when you connect an external hard drive to the router. There is also special media optimized networking technology embedded in the router to help support smother streaming of HD content and real-time gaming. Typically, home network owners will have an issue with one of these three components that makes one think a router password reset is required. This is not always the case; however, as one of the key three settings may be annotated improperly preventing connection to the network. Before taking action to reset a LinkSys router password, taking the time to check the settings of the LinkSys router is a prudent first step to take. Step 1 – Ensure the LinkSys router is powered on and then connect your computer to the router using an Ethernet cable. Step 2 – Load the router’s web-based setup page in your computer’s web browser. To do this, launch the web browser and then enter, “192.168.1.1” in the browser address bar followed by pressing the “Enter” or “Return” key. Step 3 – Log-in to the router using the unique username and password that you have previously created for the router. If the default settings remain in use, then the username will be blank and the password will be “admin” for newer LinkSys routers. Step 5 – Note the SSID or “Network Name” that is in use. Step 6 – Select “Wireless Security” and record the “Security Mode” and “Passphrase” being used. In older versions of LinkSys routers the passphrase can be shown as a “Pre-Shared Key” or “WPA Shared Key.” The “TX Key” entry on newer routers will indicate which of the 4 keys the active wireless password for your network is. The passwords are case sensitive which is a common source of confusion for LinkSys router end-users. All routers produced by LinkSys have a built-in web based setup page that can be used to customize settings or to change or reset the router’s password. Before accessing the web setup page, ensure the router is powered on and connect your computer to one of the Ethernet Ports on the router. Step 1 – Ensure the LED (light) that corresponds to the Ethernet port the computer is connected to the router is turned on. Step 2 – Open your computer’s web browser. The LinkSys web setup page is compatible with all major Internet browsers. Step 3 – Enter the router’s IP address in the Internet Browser’s address bar. The default LinkSys setup address is 192.168.1.1. For newer LinkSys routers, the address, http://myrouter.local can also be used. Step 5 – Select the “Administration” menu tab on the subsequently displayed screen. Then, select the “Management” section of the menu. Step 6 – Enter the default factory or a new password in the “Password” text field. Re-enter the same entry to confirm the change. On newer LinkSys routers the password can have an “unlimited” or very long password. Step 7 – Choose the “Save Settings” menu button. Now, all computers that are connected to the network will have to use the new LinkSys router password when logging into the router’s web-based configuration page. The easiest way to reset a LinkSys router to factory settings is to press and hold the reset button that is located on the back of the router for 10 seconds. Older LinkSys routers and devices require the reset button be held for a total of 30 seconds to complete the reset process. Step 1 – Turn on the LinkSys router. Then, remove all LAN, network, and computer connections to the device. Step 2 – Turn the router to where you can see the rear or back side of the device. There will be a small button or pinhole button labeled reset. Press this button for 10 seconds on newer routers and up to 30 for older devices to restore to factory defaults. After the router reboots (this can take up to two to three minutes depending on the type of LinkSys router being reset), power down the router and then turn back-on. Step 3 – Once the router is reset, it will require configuration. For example any security, password, SSID, or default name settings will now be reset to the default LinkSys configuration and can pose a security risk if not re-configured straight away. To access the configuration panel, connect your computer to the router using an Ethernet cable and launch the computer’s web browser. Then, enter “192.168.1.1” in the web browser’s address bar and press the “Enter” or “Return” key. Step 4 – Log-in to the LinkSys configuration panel using a blank username and “admin” for the password. Legacy usernames and passwords can be found earlier in this article for older LinkSys devices. Step 5 – Once logged in to the administrator panel, continue to configure the LinkSys router normally. 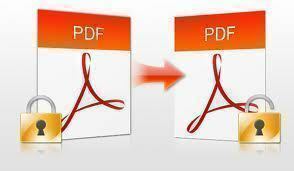 Ensure to change the login user and password names before finishing work on the control panel. Step 1 – Power on the LinkSys router and then connect your computer to the router using an Ethernet cable. Step 2 – Open your computer’s web browser and enter “192.168.1.1” in the browser tool bar and press the “Enter” or “Return” key. Step 3 – Log-in to the browser using the unique user name and password that you created when originally configuring the router. If you still use the default login and password, for new LinkSys routers these are a blank entry for user name and “admin” for the password. Step 4 – Select the “Administration” tab on the Linksys setup menu. Step 5 – Click the “Factory Defaults” sub-menu tab. Step 6 – Choose the “Restore Factory Defaults” menu option listed under the “Factory Defaults” menu tab. The default settings of the LinkSys router will now be restored requiring additional configuration. Unfortunately, a common problem that arises for Mac users who try to reset a LinkSys router’s password is getting the “Safari can’t connect to the server” error when attempting to access the LinkSys setup page. You can still attempt to reset the password using Safari, but may have to switch to an alternative web browser such as Mozilla Firefox to complete the task if the error is persistent. Step1 – Connect your Mac computer to the LinkSys router using an Ethernet cable. Step 2 – Launch the computer’s web browser (Safari in most cases). Then, enter “192.168.1.1” in the browser’s address bar and press the “Return” key. Step 3 – Enter the username and password in the subsequently displayed menu prompt. If you never changed the username and password, then leave the “Name” field blank and proceed to enter “admin” in the “Password” field in the dialogue box. Step 4 – If Safari throws an error on step two or three, LinkSys recommends downloading the latest version of the Mozilla web browser to attempt the password reset. In the majority of cases this will solve the issues encountered between Mac OS X and the LinkSys web setup. Step 5 – Choose the “Administration” menu tab on the LinkSys setup menu. Then, select the “Factory Defaults” menu option. Step 6 – Click the “Restore Factory Defaults” menu choice that is found beneath the “Factory Defaults” menu label. After the factory defaults have been restored you will need to proceed with configuring the SSID, security type, and password for your wireless network. Step 7 – One step that you should take is changing the default password for the router while you are in the configuration panel. To do this, select the “Administration” menu tab. Then, enter the new router password in both the “Router Password” field and the subsequent text box to confirm the new password. After you do this action, press the “Save Settings” menu button to save the new LinkSys router password. BIG hint on this problem- Linksys doesn’t like to talk to browsers other than Explorer. Doesn’t like to talk to Firefox, I know that much! hi i have one question ?how to put password on my router i bought almost two years ,but i dont know how to put password? •Make sure the web address http://192.168.1.1 is correct. These suggestions don’t help. Why is it all of a sudden not working? Use explorer, not Firefox to talk to the router. I thought you gave GREAT instructions. Easy to read and follow. Things worked out great for me. I forgot my password so I was unable to conect other devices to the internet. Things are up and running perfectly. Thank you. You rock. When I try and go to the 192.168.1.1. website it tells me that they need a username and password on a different tab that shows up on the screen. Is this normal? I just want a simple way to change my router password!!!! It is so easy to do, just hold down the rest button for one minute while it is plugged in..done. and if you go to u tube there are instructions on how to put your password in..
Will I loose any server login info which are saved in the router memory while resetting the modem using the reset button?? Once you have reset the router, the username and password will be changed to the defaults, admin and password, respectively. Resetting the router will change all of the router settings back to the factory settings. This means you will lose all of the changes you made since you got the router. Make sure to note down any changes you have made, so you can change them back after the reset. I cannot reset my password; I was changing the device to another and now I wish to kep the oringnal device I previously had.. I Have forgotten my password so I cannot access wi-fi in my home. awesome…thanks. by step 4 I had it my password. Lynksys was trying to charge me 100 bucks for this help…thanks again! Good morning. I conected my router and did all the steps that rewquires you to get conected . I have internet on two computers but on my sharp led tv i dont have full internet service . I get Vudu and all that comes with it but no Netflix or Aquas internet . I called Sharp & Netflix and they said its my Router . I took it off quess and put on secure and now i get partcial internet no Netflix & Aquas internet the rest i get . I also reset the router and still the same . ( Linksys E3200 ) What do you think is my next move ? Thanks for the help, the instructions were easy to follow and right to the point. Hi, my wireless is up and running, but its open to any user and no matter how many time i click on “administration” and enter the password in both field, it still stays as an open network……what can i do to prevent this 🙁 ? Hi I have my own old Linksys router and it has been created a password too. But my modem not working and i had changed after that my router does not asking password but i would rather love to secure my router because no buddy can access from my router unnecessary. I will be very happy if you could some genouse help for me this matter. What it the best way to reset my password for my Linksys? 206 queries in 0.329 seconds.